Here's what advisors should know to serve blended families, single-parent families and other "nontraditional" clients. Without in any way denying the value of dads, we’d point out that since that breakthrough in 1992, there has been a seismic shift in the modern American family’s diversity. Today, the traditional model of a married mom and dad and one or more children represents only 20 percent of families, according to “LoveFamilyMoney,” a 2014 study funded by Allianz. These six cohorts, which tend to skew older and more female, are more likely than traditional families to experience financial hardship. “Because of the greater complexity of their lives, they have a real need for financial advice,” Carroll pointed out. However, fewer than half (43 percent) have ever consulted a financial professional. The Allianz study targets them as “the next frontier” for financial advisors. Taking on new clients among these nontraditional cohorts will mean dealing with expanded relationships. Instead of working with one individual or a single-generation couple, you may be involved with a much greater number of people and multiple generations’ concurrent needs. “This changes what advisors will have to focus on,” Carroll observed. “They’ll need to get more personal in the topics that they’re discussing. They’ll have to have a deep, empathetic understanding of their clients’ specific needs and characteristics.” Deeper understanding will enable advisors to customize solutions that go beyond investment products to cover tax issues, education funding options and so on. Advisors will need to learn to map out a family’s structure so they can clearly understand the decision-making implications. Good communication skills and an understanding of basic psychology will be more helpful than ever for dealing with the greater complexity of these relationships. You’ll need to be prepared for “heirs who don’t know how to manage money, clients who don’t want to do any proactive decision making for the money they’ll leave behind, new clients who want less interaction and who don’t want to delegate decision making [to you], a more competitive marketplace due to robo-advisors and hot competition for anyone under 50 years old who has investable assets,” Marston summed up. The difficulty with many nontraditional clients, Klontz said, is that “they really don’t know what they want. They say some words, trying to convey an image of what they want,” but they haven’t reflected enough to be clear about it. As a result, the plan they end up with may not address their inner dreams, hopes and desires. To develop plans that clients will embrace, you may need to delve deeper to figure out what they are really saying. “Advisors need to do deep listening to serve their clients well,” Klontz suggested. “I call it exquisite listening.” He explained that this doesn’t simply mean being quiet when the client talks. You need to really listen, not be thinking about how you’re going to respond. Sensitivity and resilience are key in dealing with multiple generations. You may already be providing some services along these lines. “We do very basic work with children and grandchildren as part of our client agreement,” McClanahan said. “Let’s say there’s a daughter who just graduated from college and needs to make decisions about her 401(k). We’ll advise her free of charge. 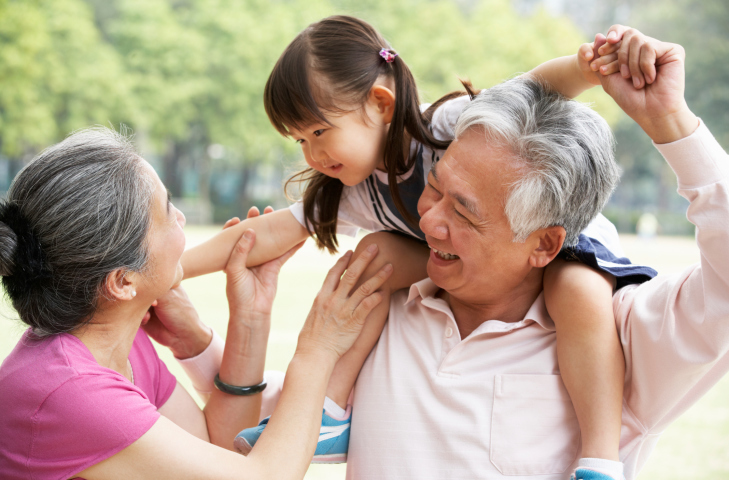 Spending a few hours like this is a great way to develop a connection.” If parents later need assistance as they age, you’ll feel more comfortable communicating with the children. The kids will feel more comfortable with you, too. Our interviews suggested that advisors may need to help families of all kinds with three particularly thorny issues: old age dementia, childlessness and boomerang children. “Dementia is a huge problem,” the Financial Psychology Institute’s Klontz concurred. “Working it into the plan early enough is a real challenge.” You don’t want to wait until symptoms actually appear. Childlessness. According to the latest National Vital Statistics Report (NVSR) from the Centers for Disease Control and Prevention, the U.S. annual birth rate has been stuck around 6.25 per 100 women since 1970, about a third of what it was during the baby boom. The general fertility rate sank to a record low in 2013, according to the January 2015 NVSR. On the plus side for advisors, childless two-income families can make great clients. As Allianz’s Carroll noted, they tend to have more discretionary income, and they still have retirement and estate planning needs. According to a 2014 survey by American Consumer Credit Counseling, one out of three U.S. households provides financial assistance to adult children. That can take a huge toll on the retirement portfolios of generous parents. Birke suggested that financial advisors need to feel comfortable giving clients such life advice as “It’s okay to say no to your kids” or “It’s okay to tell them, ‘We can only afford the state school.’” He added the reminder that parents can borrow for college, but not for retirement. Advisors focused on the future need to embrace the diversity of their new job description. “It will help keep your practice intact as investment management becomes commoditized, which is happening now,” McClanahan urged.